It’s very rare to meet almost all the working body in the music industry under one roof. 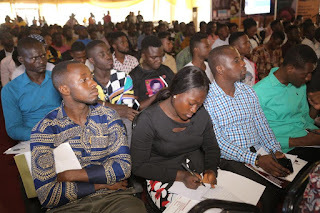 It has been written in the history of music in Ghana that, on the 22nd day of January, 2019, MT Ghana hosted entrepreneurs, Djs, Artist managers, videographers, producers, distributors and all parties involved in the making of the music business. 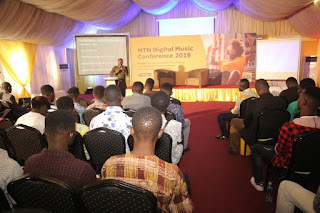 Mtn Ghana, who has the success of Ghana music industry at heart, did the maiden edition of digital music conference which started in Accra a week ago, took the train to the Ashanti Regional capital, Kumasi. Oseikrom; as passionately called by most of her inhabitants, had her first ever most successful workshop. So it was definitely a step in the right direction for the biggest telecommunication network in the country to consider the city in terms of this workshop. The workshop saw over 300 musicians, artist managers, bloggers and producers. 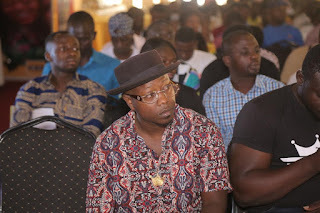 The likes of Flowking Stone, Brother Sammy, and a very long list of successful industry players were spotted at the conference. Also, a body from the Copyright Legislative and GHAMRO were also invited to explain their work and how important it is to register your song under them. The workshop began at 10am and has its tea-break for 30 minutes and commenced till 3pm. The workshop ended with on a lunch table, where a unified city sat and ate together for the first time in the history of Kumasi; as far as the industry is concerned. The MC was no other than one of Ghana’s biggest publicist/blogger/ Dj, a genius the city is so proud of, N.Y Dj of Y 102.5 Fm (Kumasi). 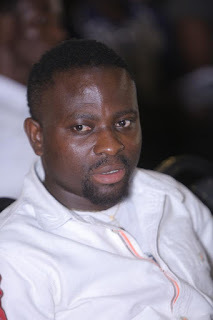 Speakers for the day were Mr. Mensah Sarpong (Music producer), who gave us a breakdown of how his musical journey began, how the digital market took over the selling of CDs and DVDs in shops. Also, one of the youngest successful artist managers in the city, Dze Boss (BKC Boss) also gave an insightful piece on how social media and the digital market has helped artists he works with. NMunya Chanetsa, an executive member of Content Connect Africa (CCA) from South Africa and Hayford Benjamin Sedem, and artist Manager & marketer, who all educated musicians on the importance and need to getting their songs registered and distributed to online platforms even before they start sharing or giving it to DJs for airplay. These two geniuses along with the MC of the day, took their time and explained in details every single question that was asked at this conference. 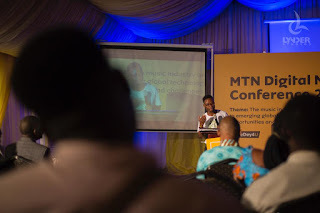 It was so evident that, the MTN Digital Music Conference 2019 was very successful and very helpful. The train heads to Tamale on the 25th January, 2019 for the same workshop.